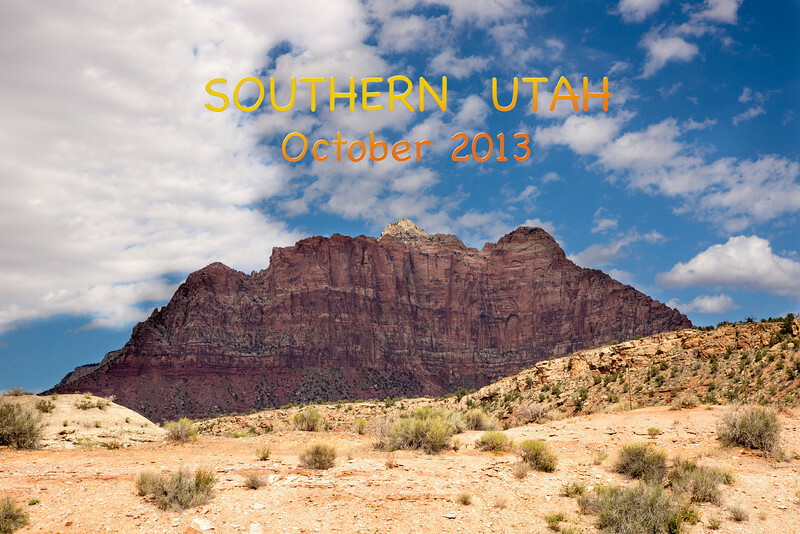 For the last few years we travel to St. George, Utah to participate in the World Senior Games. 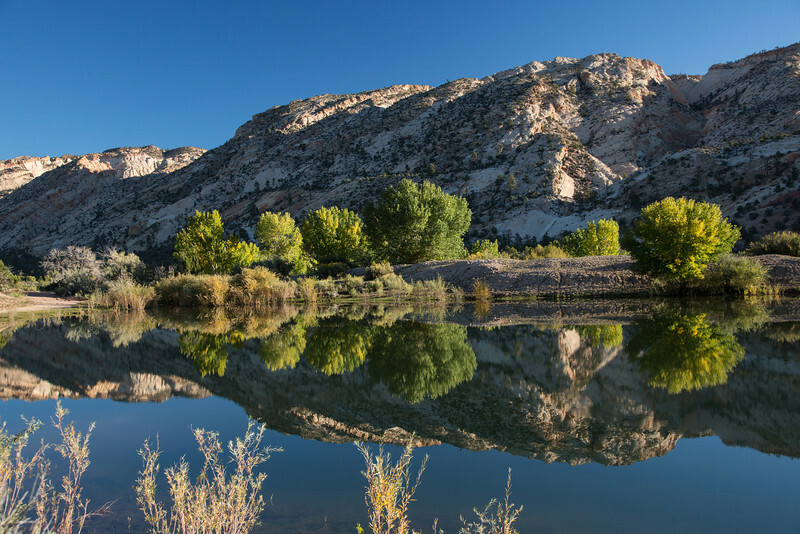 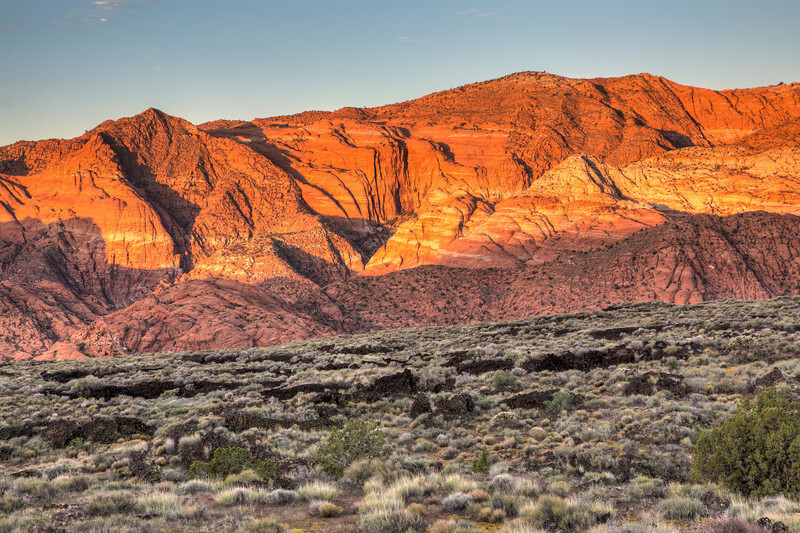 In between the Games we visit Southern Utah to photograph this beautiful landscape. 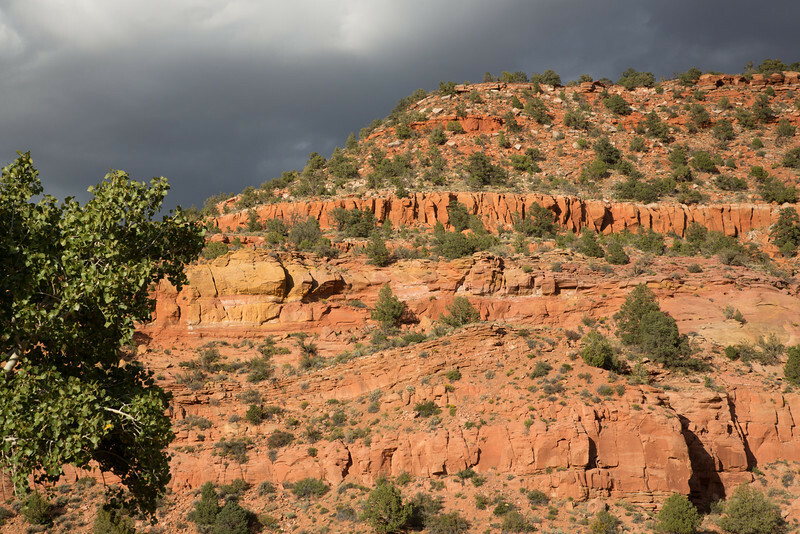 A view near Kanab, Utah. 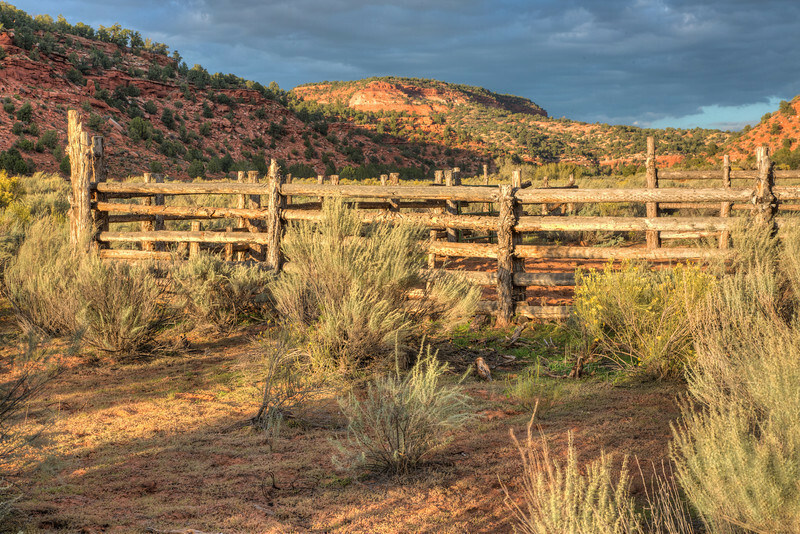 Cattle roundup pen in a canyon near Kanab, Utah. 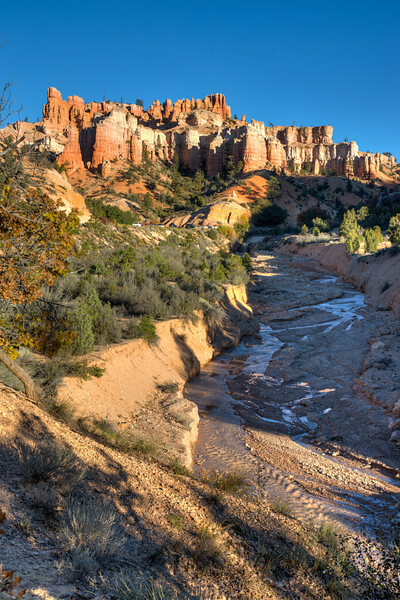 Early morning drive through the Grand Staircase Escalante. 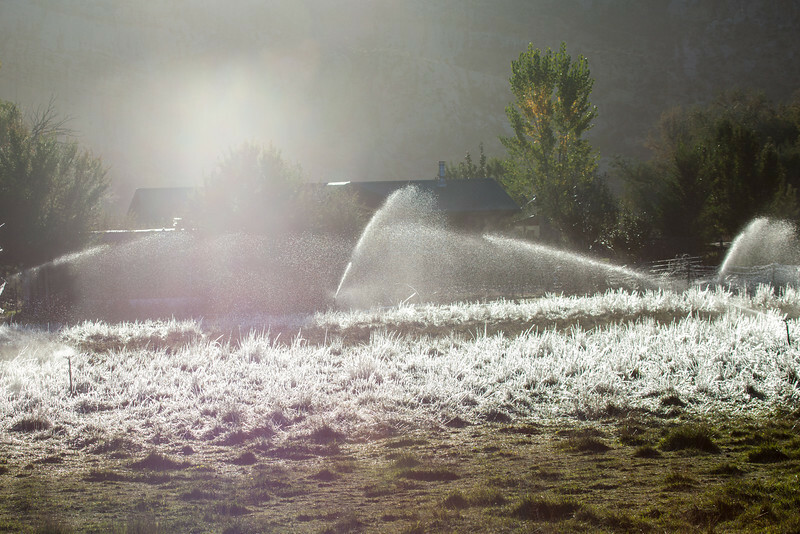 It was unexpectedly cold in the high country. 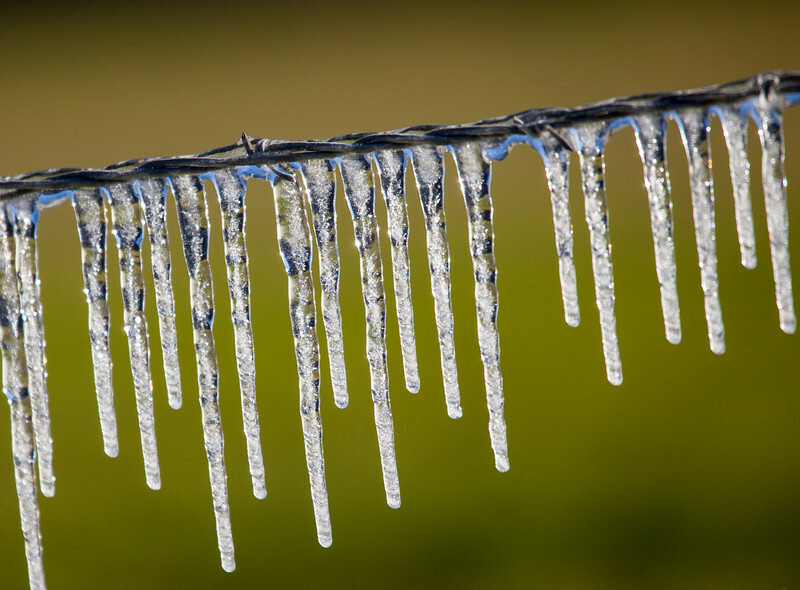 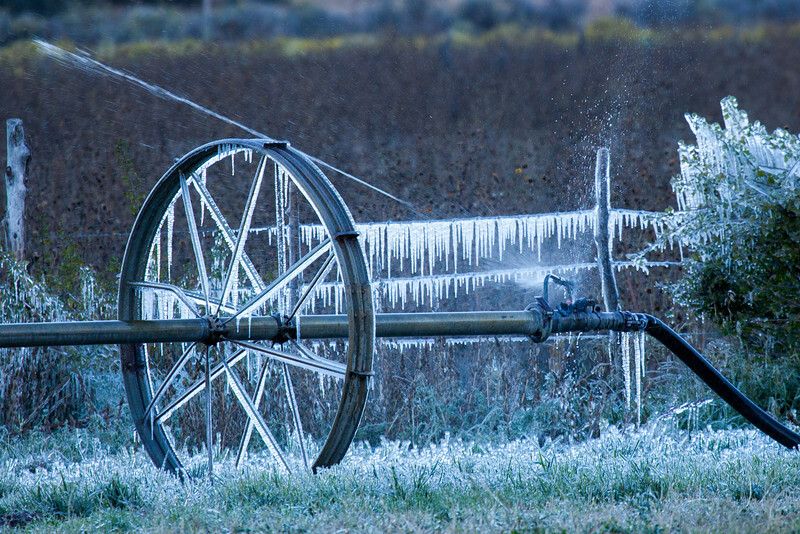 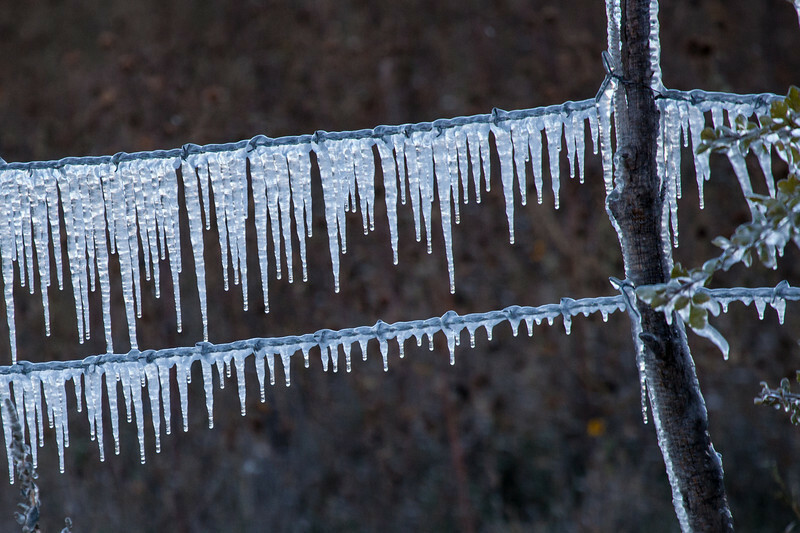 The farmers sprinklers were still running forming ice cycles on whatever they hit. 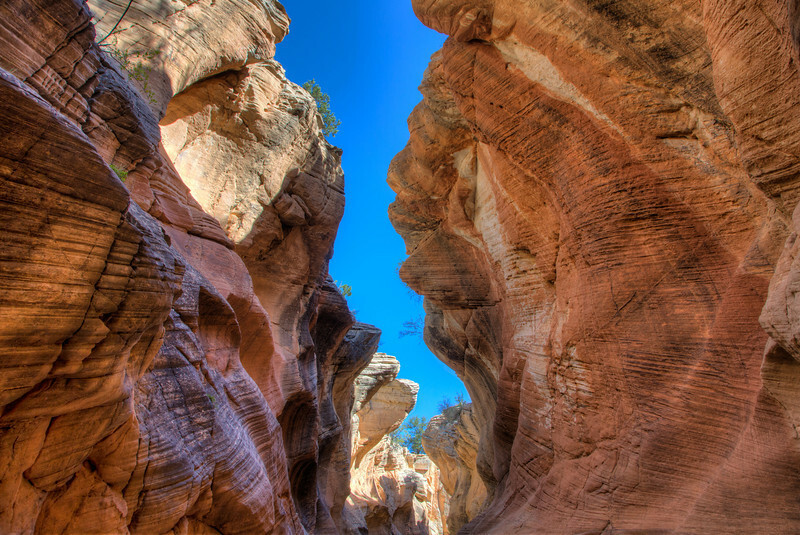 We came upon this slot canyon near Kodachrome State Park. 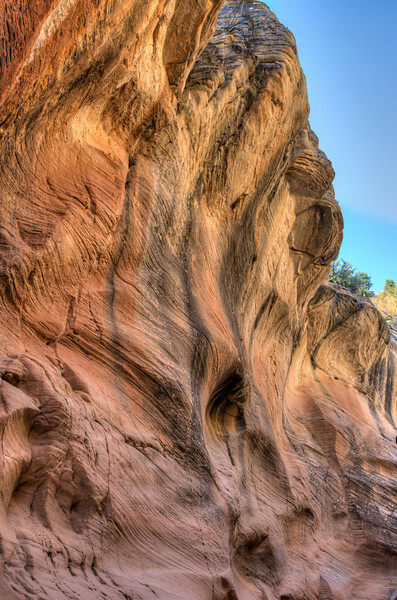 The sandstone walls were turned into artwork by the thousands of years when occasional torrential rains brought gushing water through the canyon. 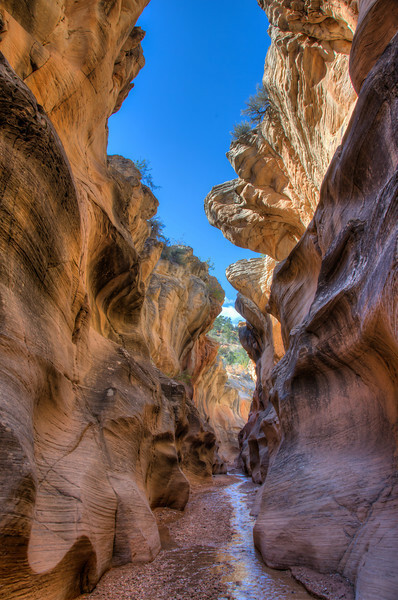 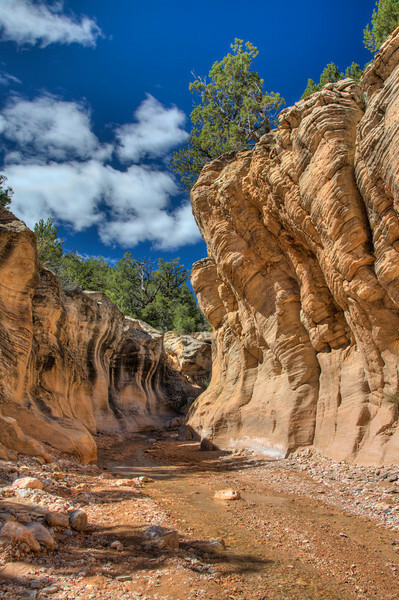 A trickle of a stream and blue skies above makes the slot canyon a joy to investigate. 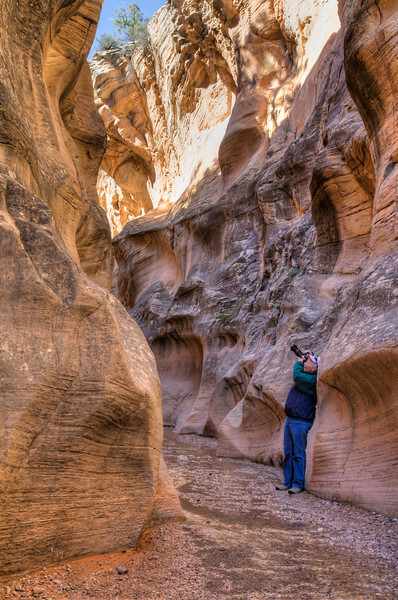 Photographing slot canyons is a challenge because of the uneven light. 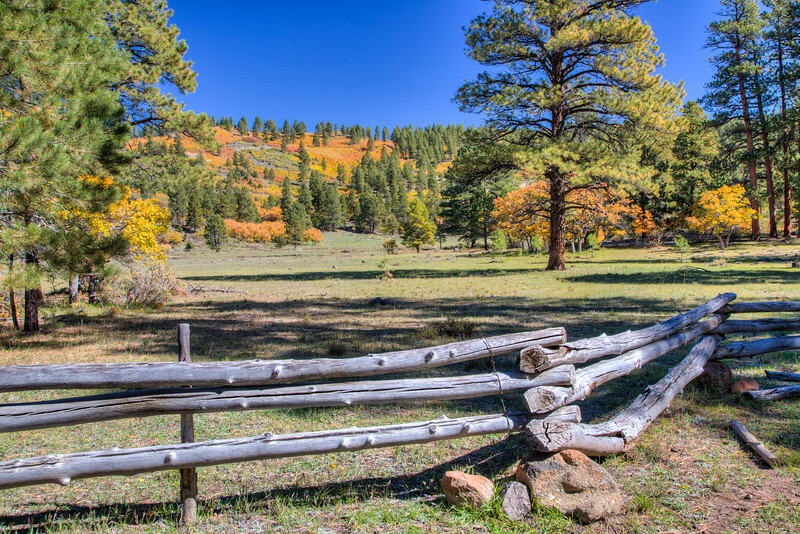 We found high dynamic range photography the best way to achieve good results. 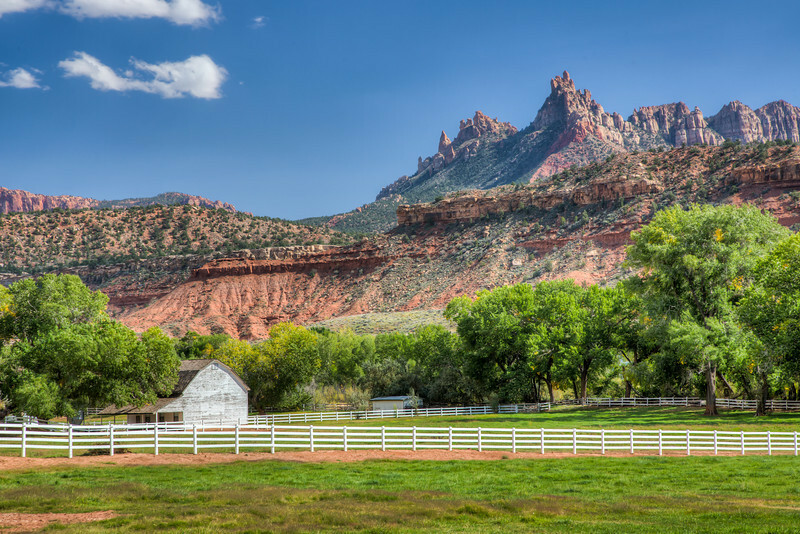 We traveled from Kanab, Utah to the small town of Escalante, Utah where we stayed for the night. 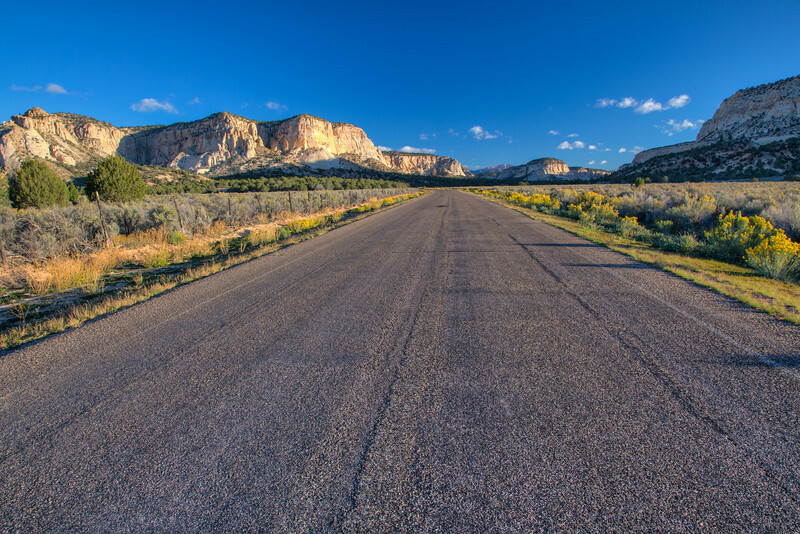 The next morning we did a loop drive through the backroads. 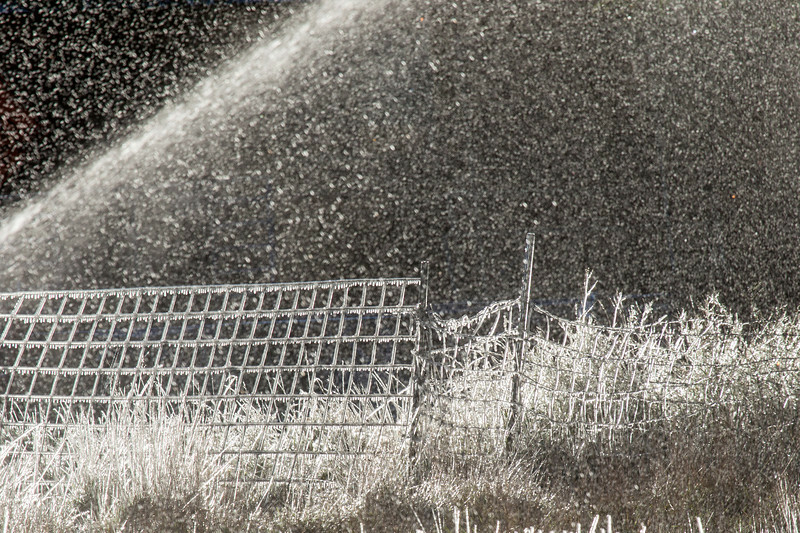 This is one scene that caught my attention. 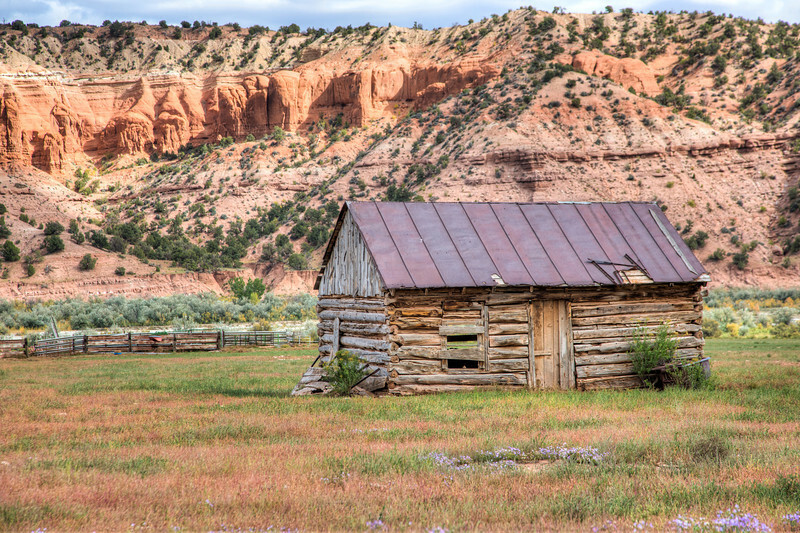 An old homestead now abandoned. 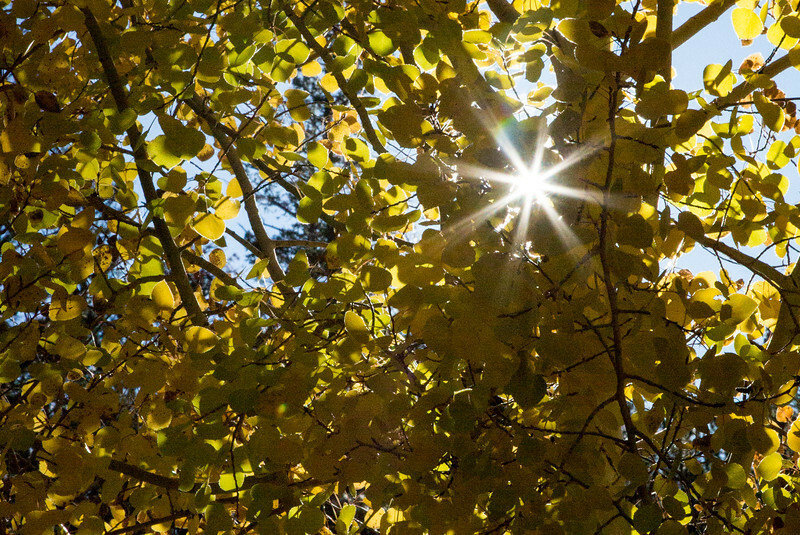 The bursting sun through the Aspens. 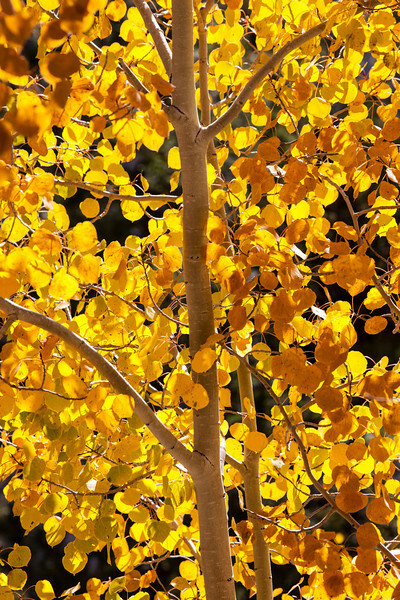 A bright colored Aspen agains the dark evergreens and blue sky. 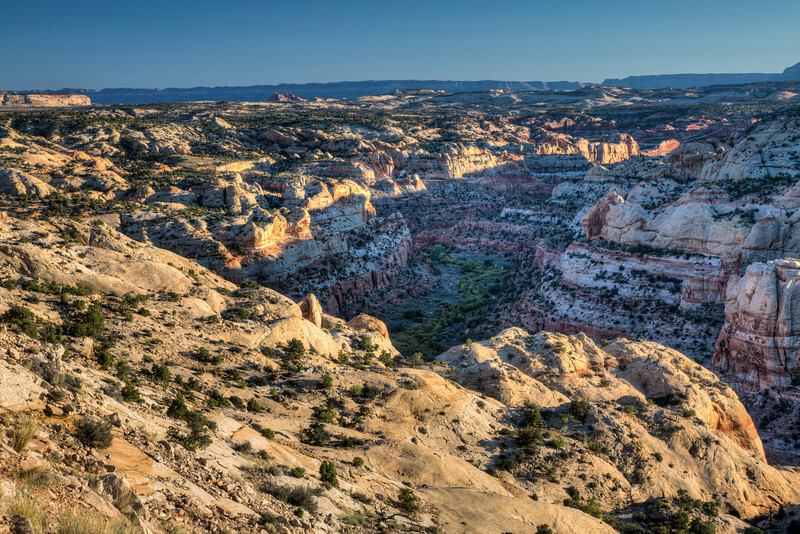 A view of the valley overlooking Box Death Hollow Wilderness area north of Escalante. 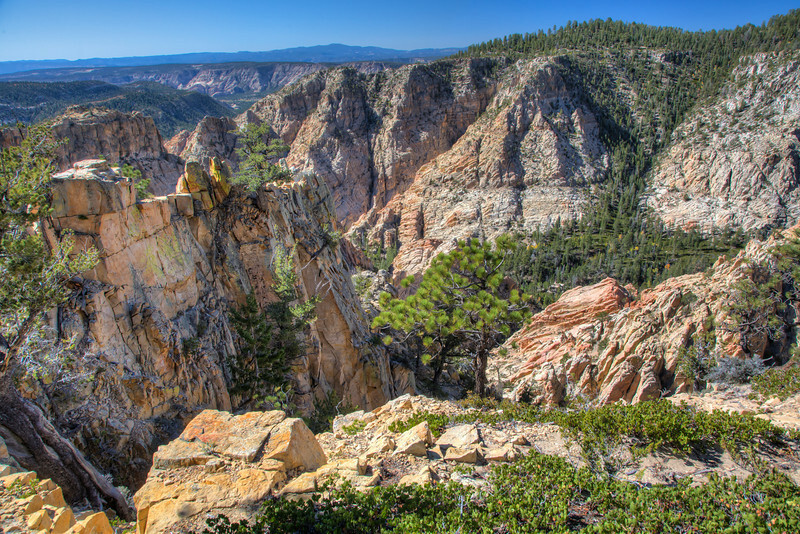 Another view of the Box Death Hollow Wilderness area. 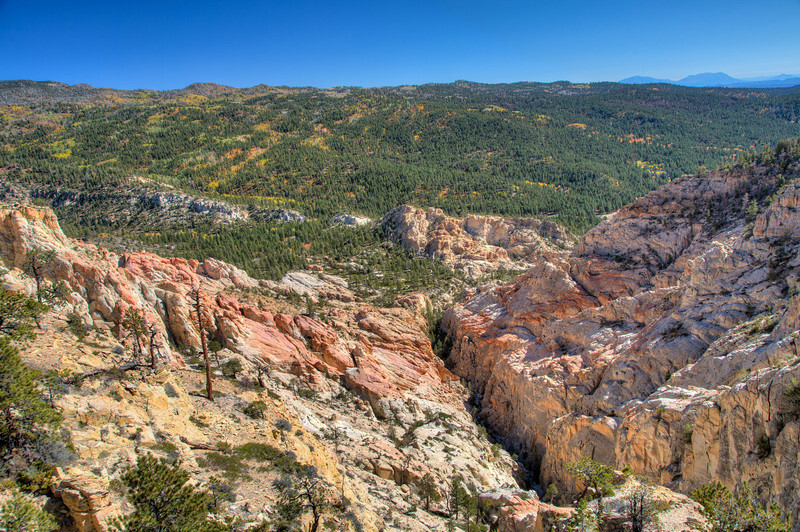 In the Dixie National Forest near Escalante, Utah. 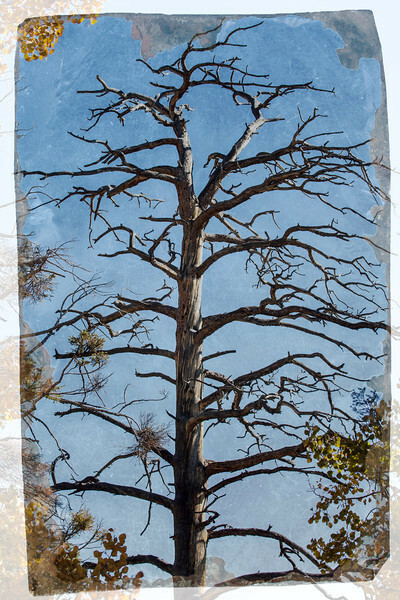 A dead twisted Pinyon pine. 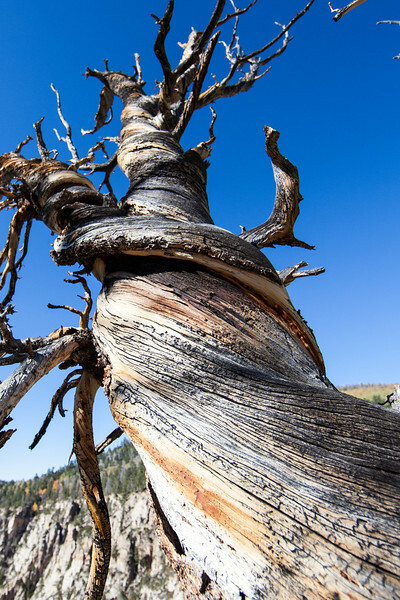 Another dead tree standing for us to admire its shape. 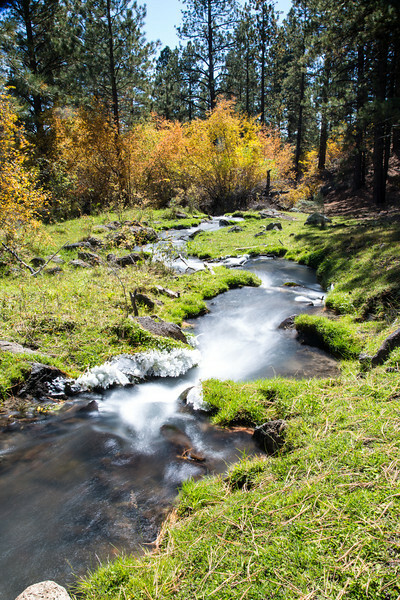 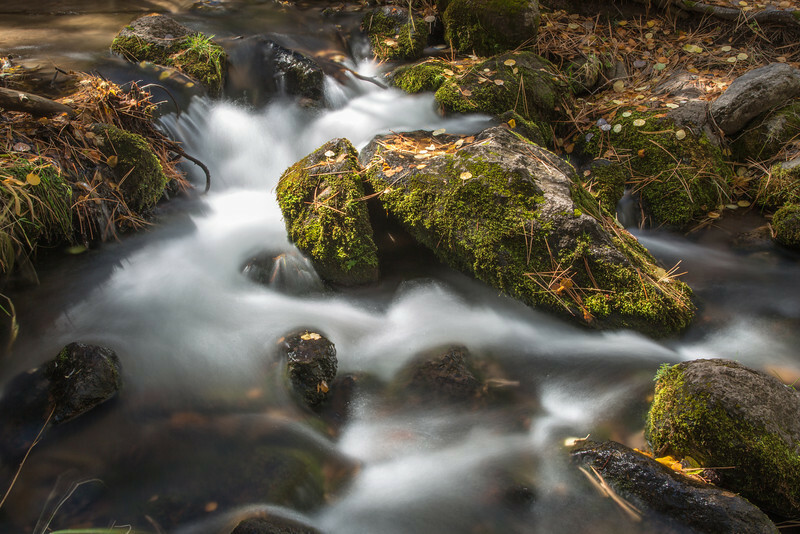 A quiet little stream meandering to who knows where. 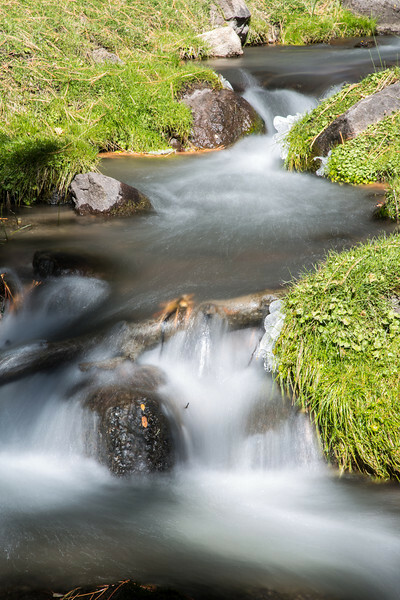 You can see small chunks of ice along the edge of the stream. 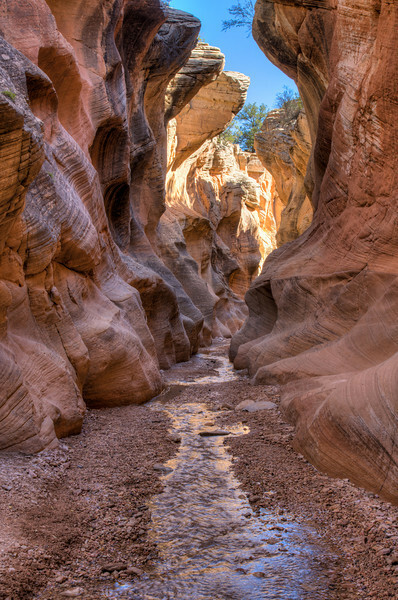 We begin a new day from Escalante, Utah. 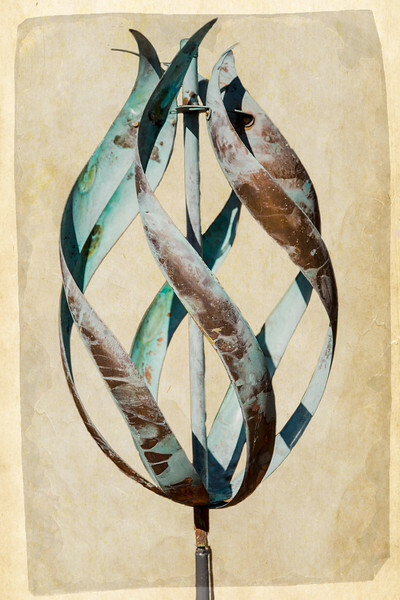 This is a decorative windmill. 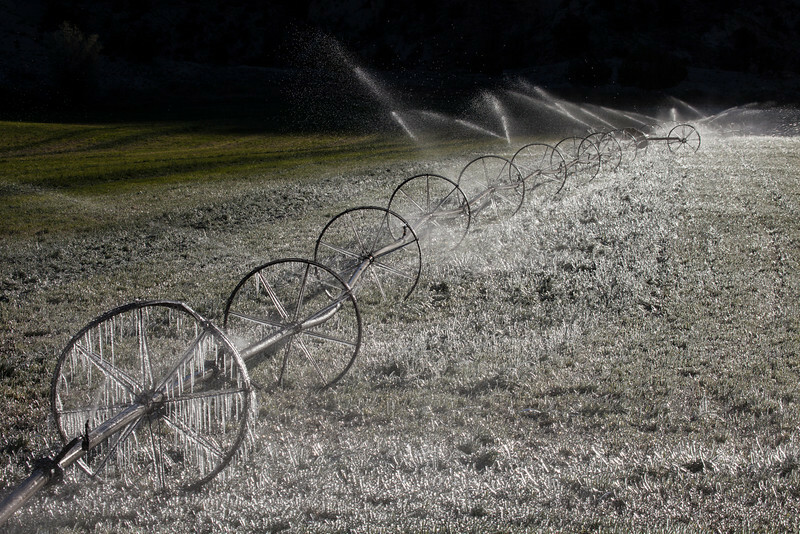 Early morning, more sprinklers, more ice painting. 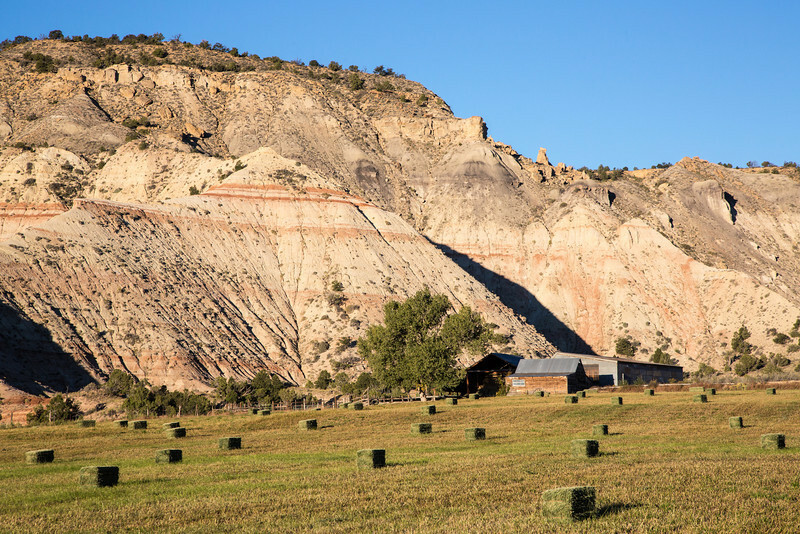 A view along highway 12 near Escalante. 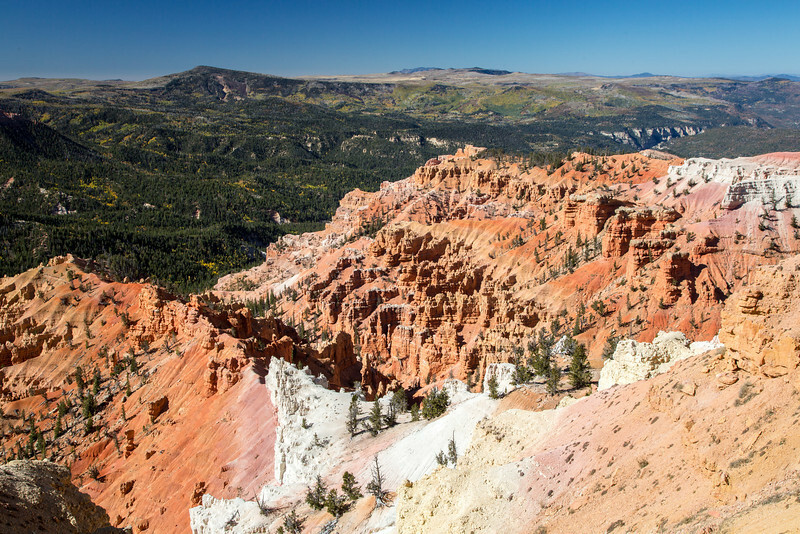 On the back side of Bryce National Park. 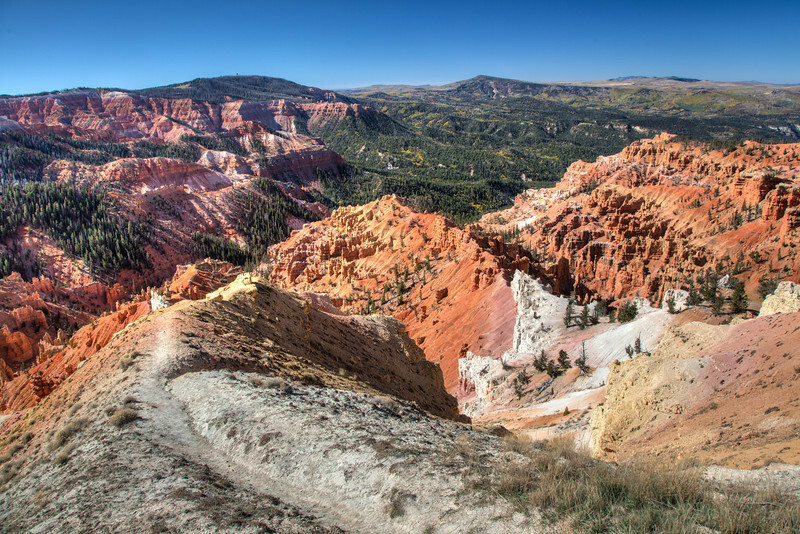 A view at Cedar Breaks National Monument. 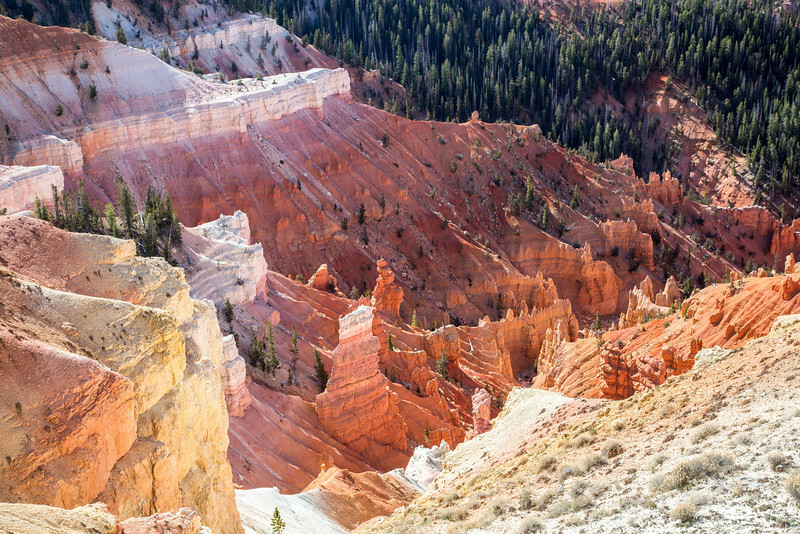 Another view of Cedar Breaks National Monument. 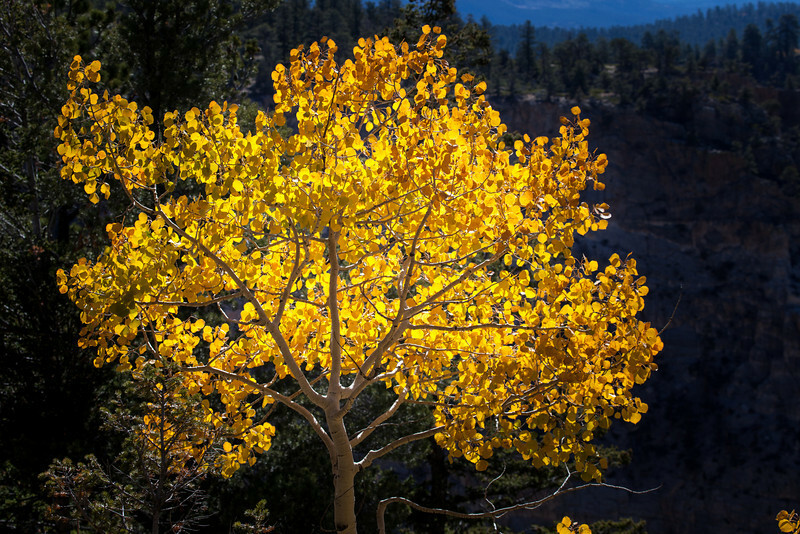 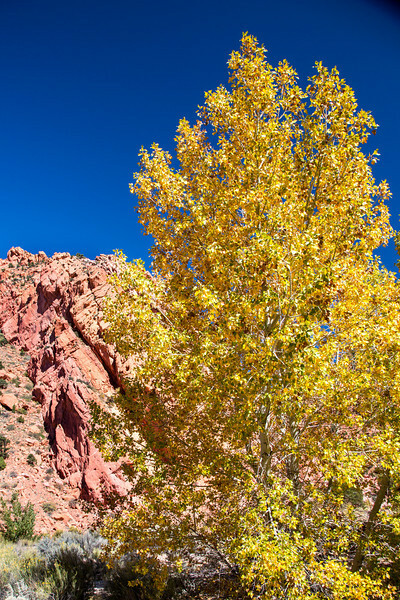 I find it hard to pass by a brilliant golden tree in front of red rocks and a deep blue sky. 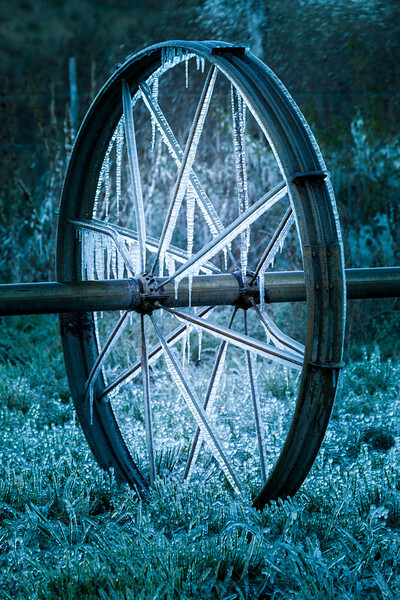 A new day. 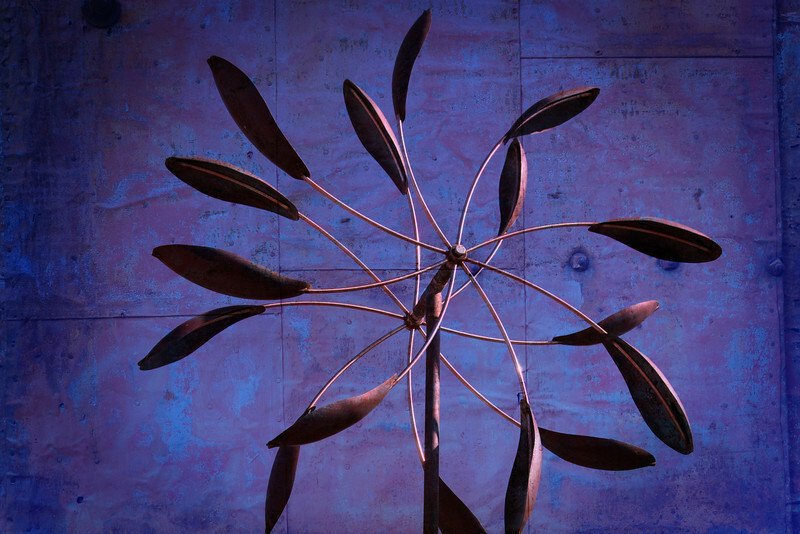 This is a decorative windmill. 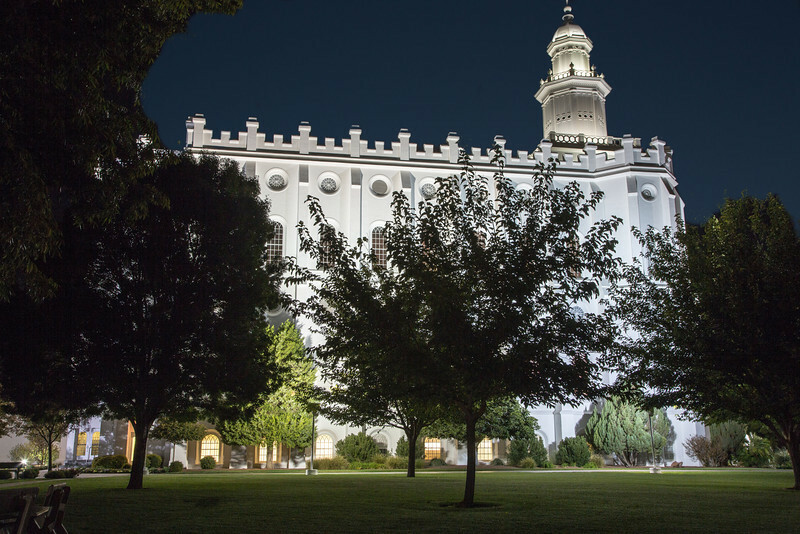 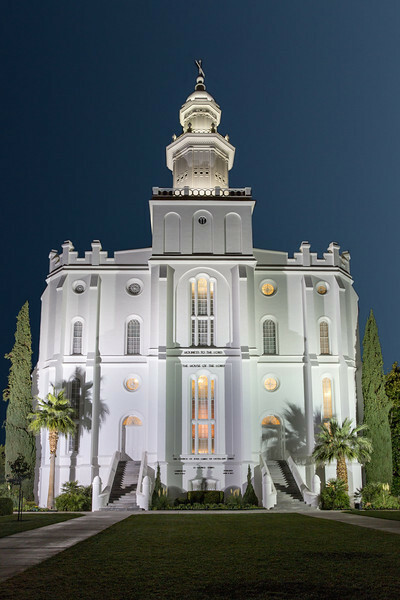 Returning to St. George, Utah, I got up early one morning to photograph the beautiful Church of the Latter Day Saints that dominates the city skyline. 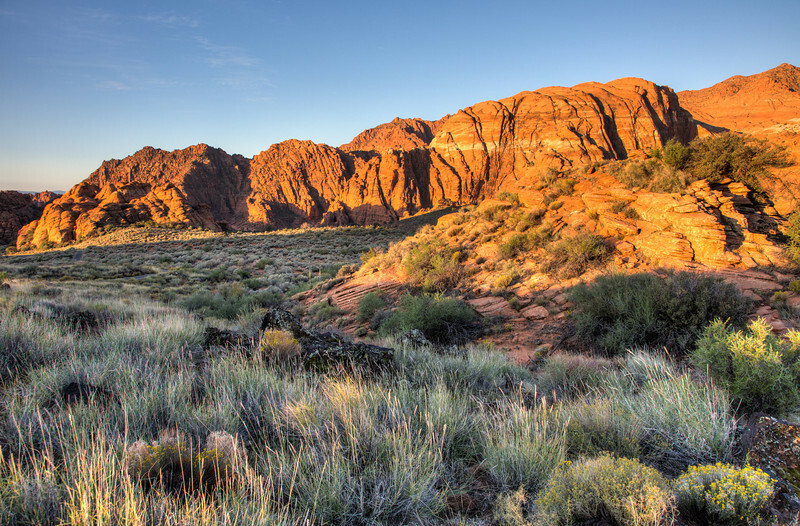 I always enjoy driving through Snow Canyon State Park which is just outside St. George. 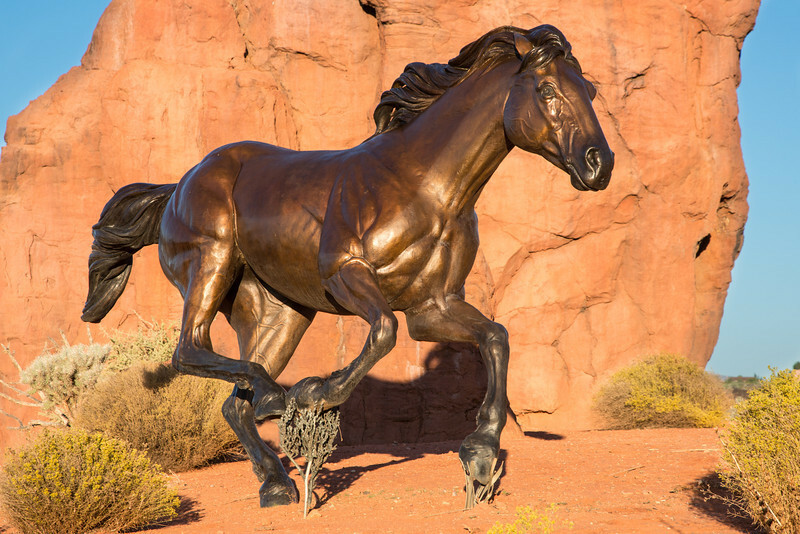 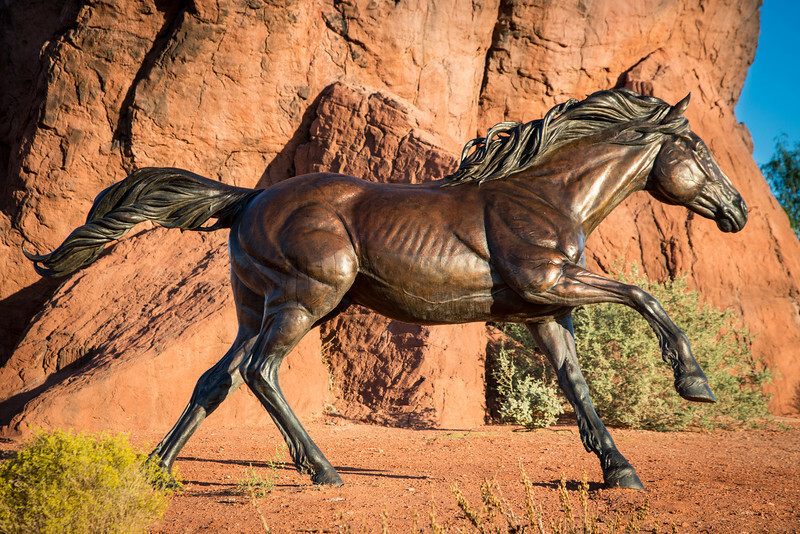 When driving to Snow Canyon there is this fantastic sculpture of horses located in the center of a round-about. 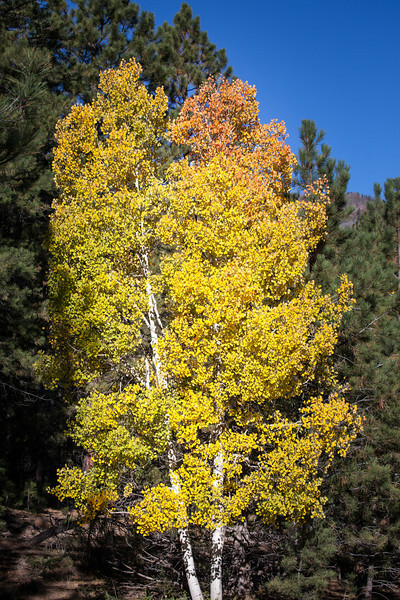 This time I stopped to photograph because the light was perfect. 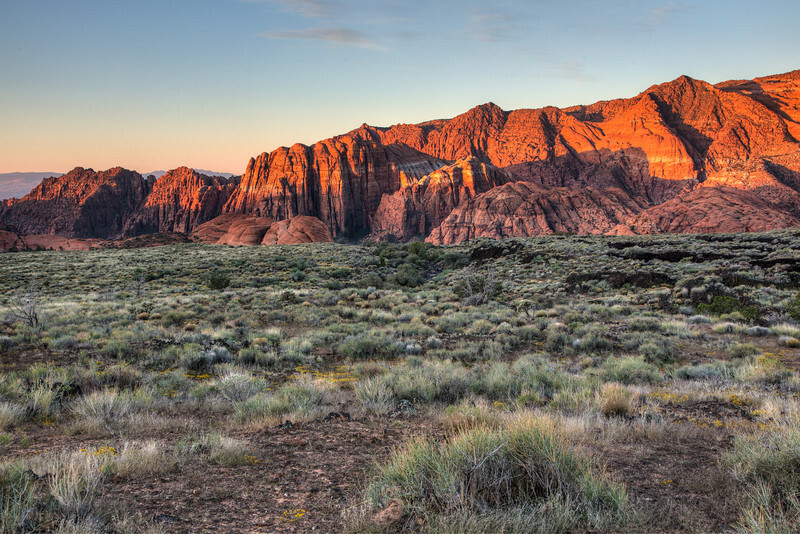 Another view at Snow Canyon State Park.